PLEASE CLICK ON THE IMAGES BELOW TO VIEW THE BACK OF THE THIMBLE. 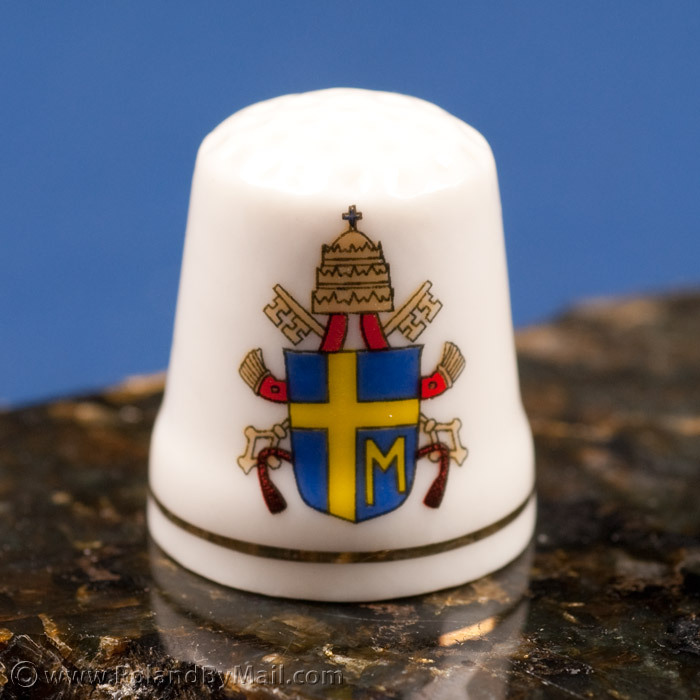 White porcelain thimble with a bust portrait of Pope John Paul II, the second longest reigning and only Polish Pope, on one side with his name Jan Paweł II below. Feature on the other side is the Pope's Coat-of-Arms emblem.